Kevin's birthday was this past Saturday. 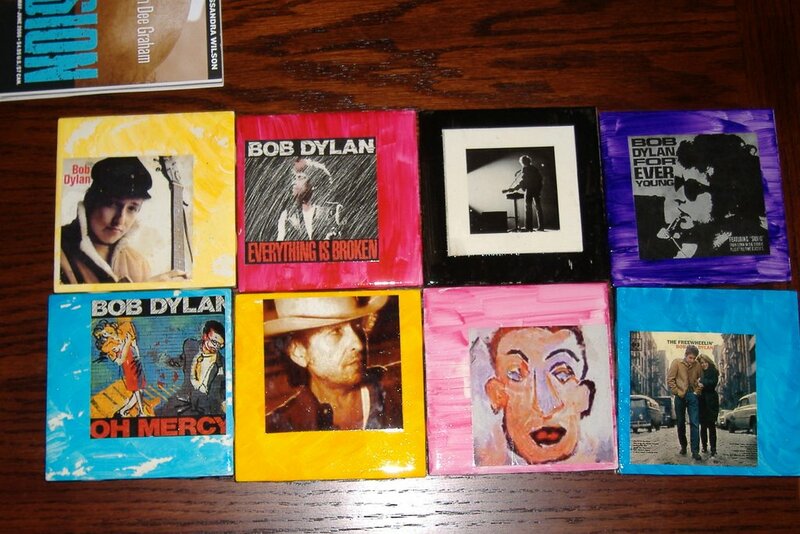 Here are the Bob Dylan coasters I crafted as part of his gift. He's a Zimmy freak, so I thought it was a very appropriate gift. Thankfully, he thought so too! I will post actual photos of the two of us at some point, once I get the ones we tried to take (I have red eye in seriously every picture except when my eyes are closed. I'd rather not look like Satan, even though I looked as such in the picture of me that he sent to his MOM!) . Enjoy!